China has so far been willing to bail Pakistan out with Chinese state-owned bank giving the South Asian country some $5 billion in loans in the last 12 months in addition to a US$1.5 billion trade facility. Pakistan’s foreign currency reserves plunged to US$9.66 billion last month from US$16.4 billion in May 2017. Malaysia this week suspended China-backed projects worth more than US$20 billion on the grounds that many made no financial sense. The projects included a railway and two pipelines. Analysts estimate that Pakistan this year needs US$ 25-28 billion to service its debt and ensure investor confidence in its ability to put its financial house in order. 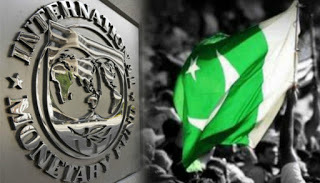 An IMF technical assistance team this week concluded a week-long visit to Pakistan. This article was also published on The Turbulent World of Middle East Soccer. Featured image is from Investors Lounge.